As part of the project “Diagnosis: Transforming Western Healthcare” we met with John Mattison and asked him about his vision regarding the future of healthcare, the most important technology trends and the lessons learned during the transformation process. In this blog we will share part 2 of our conversation: John’s vision about the next disruptors in healthcare. What would be the next disruptor in healthcare? Mattison: Pretty much everybody agrees that the two vertical markets that are most broken and most in need of massive disruption are healthcare and education. The biggest opportunity in terms of technology is to really make a change in terms of education, both of those involved professionally in the caring professions as well as those that benefit from all the caring professions. Probably the biggest disrupter is going to be along the series of inventions like the computer, the internet, the smartphone, the app store, and the digital social network. I think the next in that series is virtual reality and augmented reality. Why would virtual reality and augmented reality be the next in that series? The way we learn things is very much based on our brain that is wired to intensive multisensory input (visual, auditory, integrated and experiential input). It is very expensive to create customized classroom experiences or web experiences that really leverage the full capacity of the human brain with 3 million years of evolution. 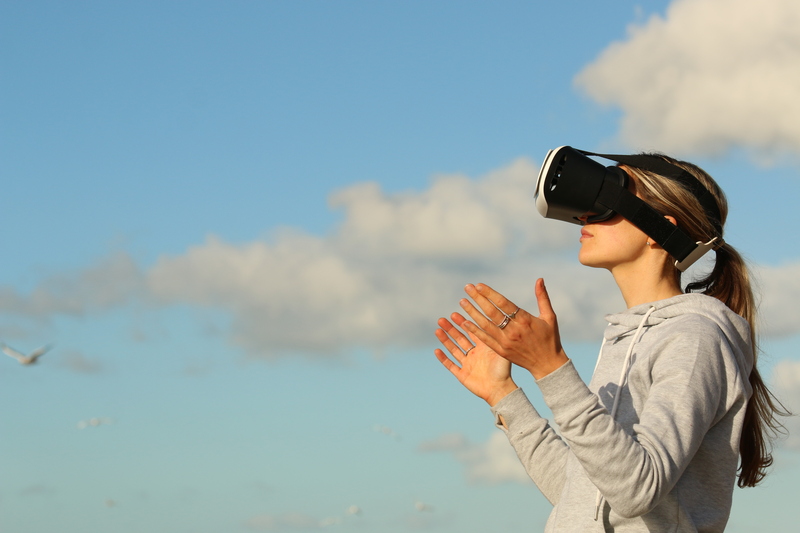 The opportunity that virtual reality provides is to create personalized experiences that are intended to accelerate learning, with a relatively inexpensive device. In addition, the first generation chatbots, such as Siri, illustrate the opportunity to introduce voice interactivity into the learning experience. The marriage of voice interactivity with visual interactivity of virtual reality and augmented reality, will also result in a profound blurring of the lines between physical reality and virtual reality. The technique is promising, as studies have shown that when you use virtual reality and exploit all of the human senses, you amplify the production of specific neurotransmitters. These create a sense of joy or happiness, which electively benefit the speed of learning. It turns out there is pretty solid evidence that when you pay attention to how you tune the virtual reality experience to the generation of those neurotransmitters creating the flow state, you can accelerate learning by a factor 2.4 over any other learning opportunities. We can not only mass customize learning to the individual and their goals, objectives and needs, but we can also accelerate the ability to learn faster. Therefore, virtual reality and augmented reality are going to play a huge role in the future of learning and education. What are great examples of virtual reality or augmented reality applications in healthcare? One of the things I am most excited about right now is happening at the Virtual Human Interaction Lab of Stanford University. They are doing something that is called physical transfer. This allows you to first begin to experience the virtual reality within your concentric physical and digital presence. Then they translate your virtual presence remotely from your physical presence. So you’re actually standing and watching yourself at a distance, behaving exactly as you are behaving. That in itself is kind of intriguing, but where it gets interesting is if you look at all the different implicit biases we all have. I believe empathy is the single most neglected and missing factor of all of healthcare delivery today. Instead of saying “I know what you need, because it says right here in my decision support system”, we need to go back to a state where we really understand the patient and ask questions like “where do you live?, what are the issues affecting you?, is the reason you’re not compliant with your diabetes because you don’t understand diabetes treatment regimen or is it because you’re depressed? And if you’re depressed, why are you depressed? Is it because you’re sad as your son is using drugs, your teenage daughter is pregnant or your husband just left you? What is the circumstance?” We need to have a much more human centred experience again and we need to restore it. To understand as a healing practitioner what is really a person’s highest level of concern, before we can even begin to manage their depression or diabetes. Physical transfer is one of the things that can be done to accelerate and reinforce our empathy. You can actually maintain your identity by watching yourself and then change who you are, as we may know from the Implicit Association Test (IAT) that you have a biased guess. We can change the gender, the height, the weight, your ethnicity, and all of a sudden you’re watching yourself in somebodies else’s shoes. Virtual reality enables us to do this. The prejudice and biases that exist, a lot of which account for social inequities and social disparities in healthcare, can be attributed to our inability to actually walk in someone else’s shoes. Now, the technology is here that allows us to do it. We can actually target those areas to people that are biased against obesity, gender or specific race and we can have them identify with them through physical transfer. The data is not in yet regarding how transferable this is from the VR-experience into the real world, but I would submit that, to the extent that we know, it utterly transforms the generation of neurotransmitters that create the flow state in our sense of happiness. Will virtual reality and augmented reality ultimately restore the human centred experience? I think that this is probably one of the most profound opportunities and the next in that series that I mentioned earlier, of truly disruptive technologies. I am incredibly excited about focusing on how explicitly these technologies can be used to train, augment and restore empathy. They will not just eliminate the implicit bias, but also help us to enquire and first seek to understand the patient. Otherwise it is a very doctor-centred view. I like to describe patient centric care as an oxymoron, because patients are what doctors call people and people have lives that extent beyond the doctor’s office. This is exactly what I’m referring to in restoring empathy in the human relationship between a healing professional and those that they are trying to heal.